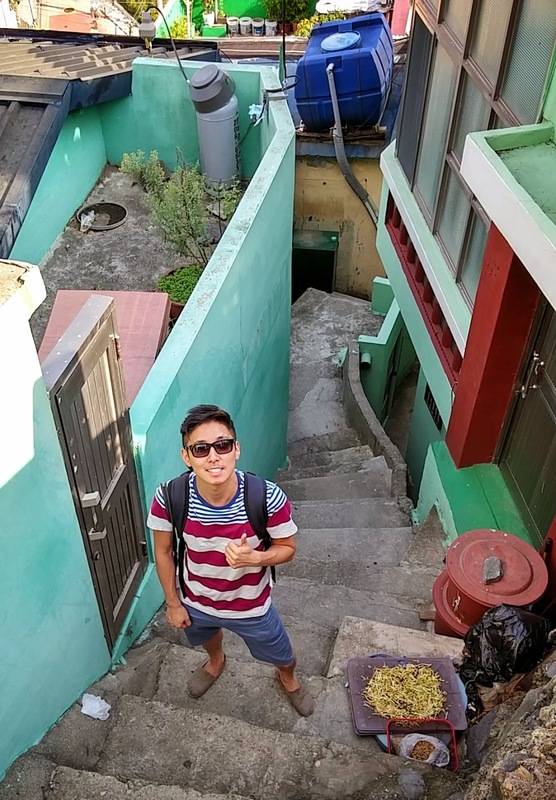 Even for Koreans, Busan has long been associated with three stereotypical things: beaches (mostly just Haeundae), hwe (sashimi), and thick Gyeongsan accents (including certain fantasies non-Gyeongsando-ites have about folks of the opposite gender who do have this accent). More a summer curiosity than anything, the other aspects of Busan has mostly been overlooked as it remains overshadowed by central figure, Seoul. But Busan has undergone a renaissance in recent years as it looks to carve and stake a name and place for itself. The result has been a fascinating and contrasting mix of old and new and I was definitely excited to see how things had changed since 2 years prior when I had last visited South Korea's number two city. Four of us decided on a rather impromptu, three days and two nights trip to Busan in late summer/early fall last year (yes, I know, another very late post). In reality though, because of the 6 hour drive down on one day and 6 hour drive back up another, it was more like one full day in Busan sadly. Nevertheless, we left early afternoon in Seoul and after the long drive down to the port city, we checked in and immediately headed to our choice for dinner. 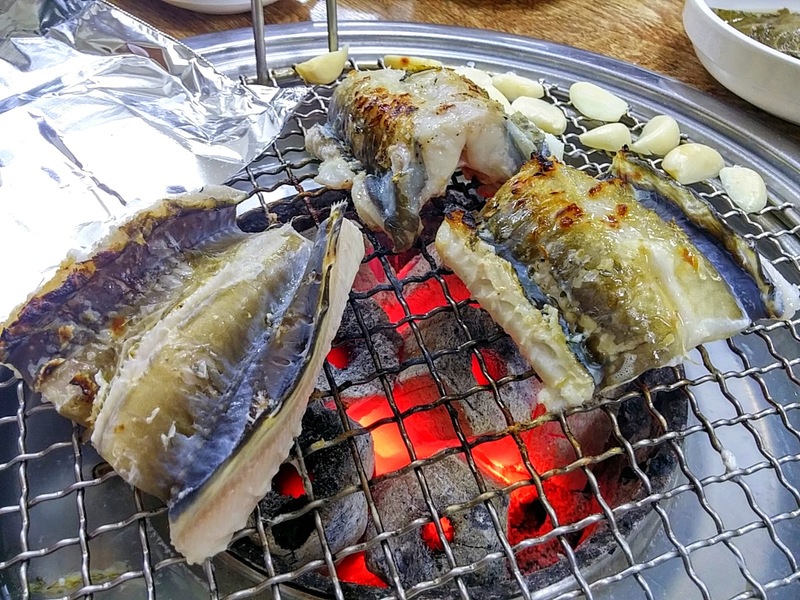 Before embarking on our trip I had compiled a list of places to check out and this AYCE (all-you-can-eat) eel spot, called Tongyeong Jangeo Moohan Refill (or "통영장어무한리필"). caught our interest as it had been featured on a number of local TV shows and seemed to draw some hot reviews. . The rules are simple, pay 21,900 a head and for 2 hours, you'll get unlimited refills of freshly prepared eel, and sides, until you can eat no more. For 25,900, you can get unlimited refills of shellfish (clams, mussels, etc) with your AYCE eel for 2 hours too (no takeouts allowed and leftovers incurs charges). We were rather pumped for the challenge, not to mention starving, so we confidently headed over here talking about all the eels that were gonna end up in our belly. After putting in our order, we heard the staff get busy in the back kitchen before the servers brought out the sides and fixings. 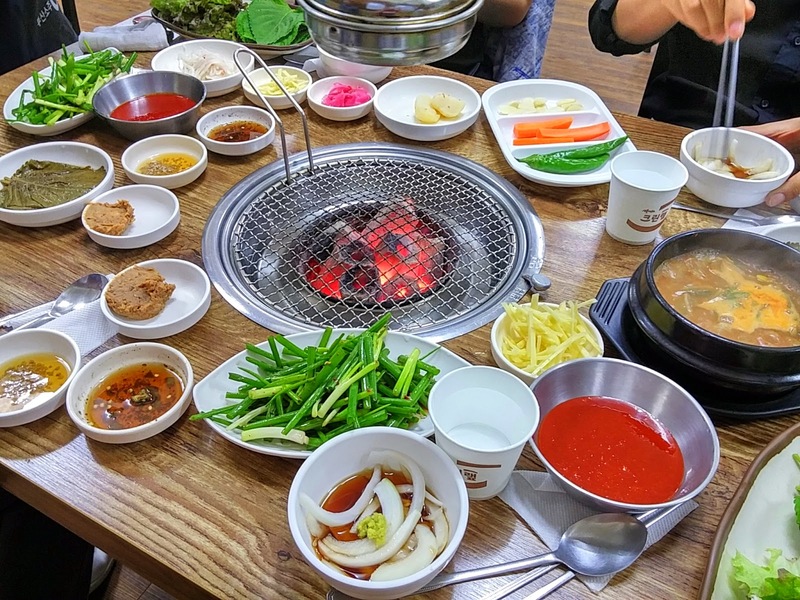 It's actually not that wide of a spread consisting of a bubbling pot of dwenjang jjigae, various dipping sauces, country-style dwenjang and ssamjang, kkaetnip janagchi (pickled perilla leaves), chives, ginger slices, and lettuce for wraps. As for the eels, they were absolutely fresh. How do I know this? The sliced and prepped eels were still slightly twitching with some of the bloodier parts (nerves?) actually throbbing. 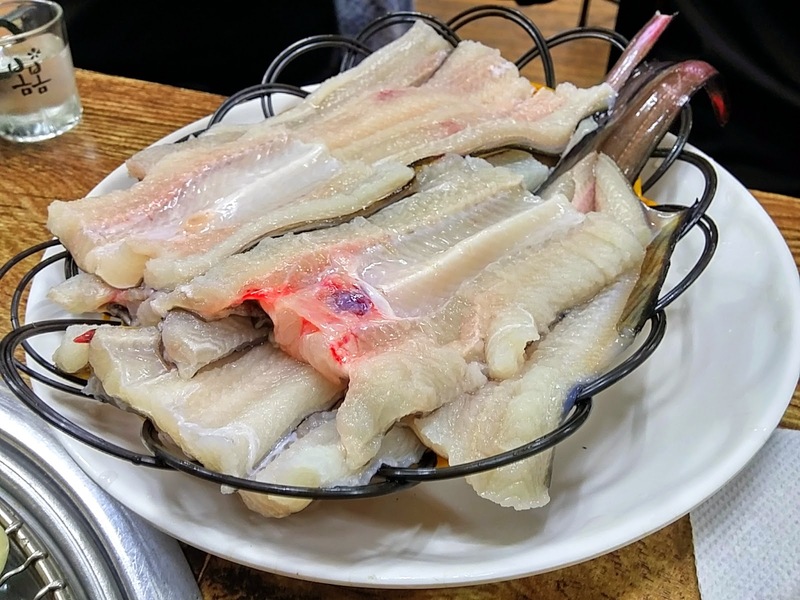 I'm usually not too squeamish about these kind of tank-to-table service in Korea but I must admit seeing parts of the eel kind of pulsate was a bit unnerving. But once we got over that, we were surprised at just the sheer amount of eel that was in front of us. 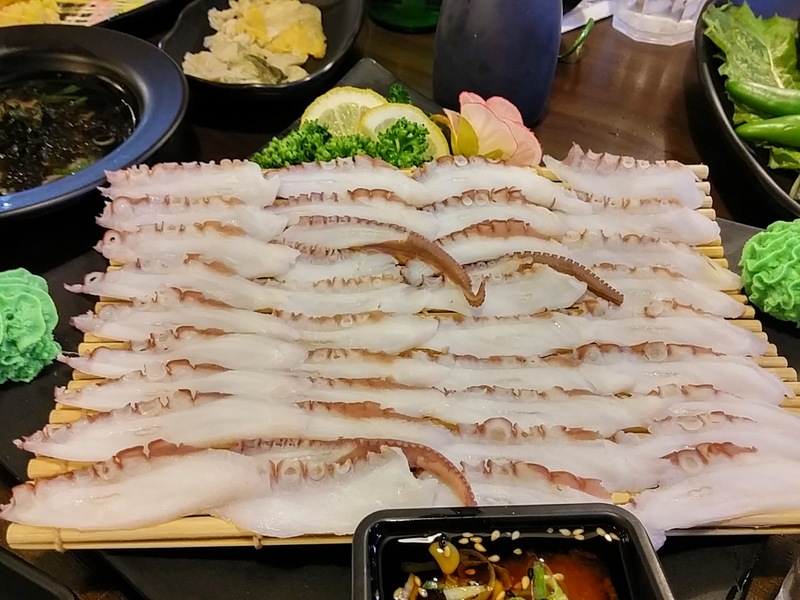 Even for four, it was a LOT of eel. Graphic visuals aside, we remained undeterred in our quest to feast on eels and they were put on the charcoal grill with some garlic cloves and carefully grilled up by one of my friends who confidently shared he built up a bit of expertise on grilling eels since his company loves to have company outings over eel quite frequently. And a fine job in grilling he did although the rest of us with less experience with grilled eels were surprised at how long it actually took to grill up. I think it must have taken a good 10 minutes for the eels to be fully cooked. But finally they were ready to be consumed and we practically pounced on them as we were so hungry. 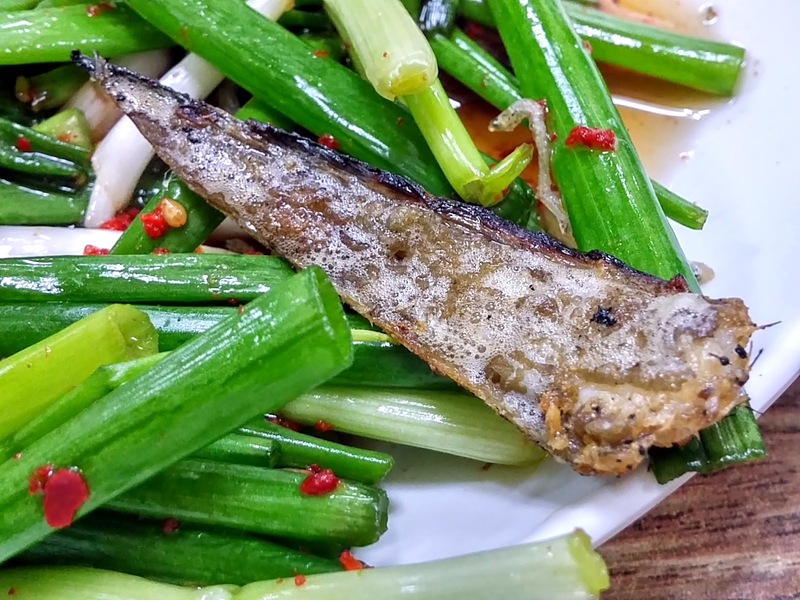 The aluminum foil placed to the side of the grill is not only used to place your cooked eel slices on but you can give them a basting in the spicy sweet sauce to give it some extra flavor. But even if spicy isn't your thing there's an array of sauces to eat with your eel according to your preference from a tangy soy sauce, vinegar dip to a simple salt and sesame oil. The eels are quite plump and have a delicate, non-fishy taste to it and should be pleasant enough for even those not so keen on seafood. 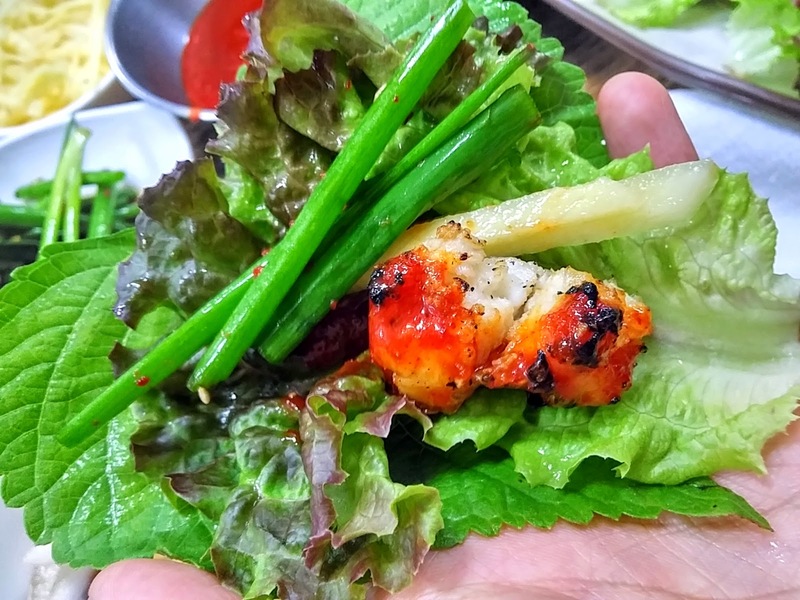 My favorite was, of course, eaten in big old wraps with chives, ssamjang, and a ginger slice all joining plump eel morsels in the lettuce and perilla wrap. 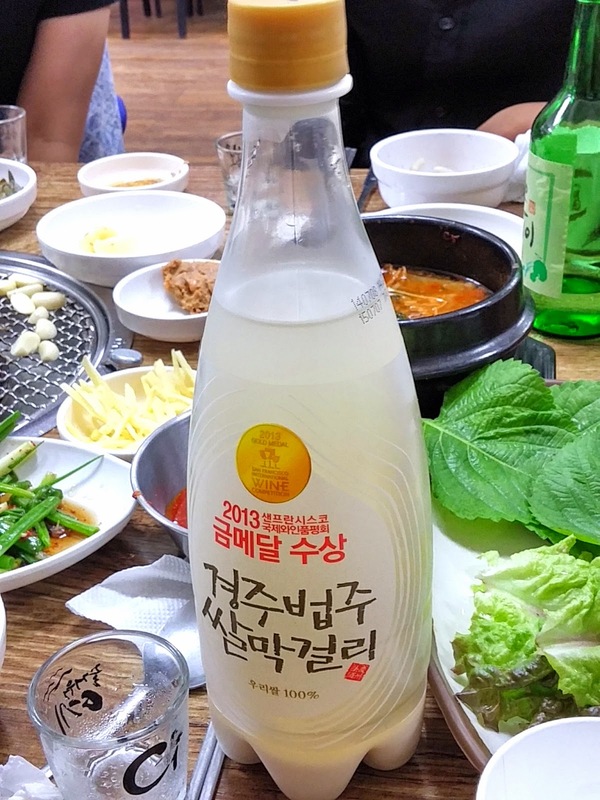 I had to go with a bottle of the local makgeolli and I place an order for the Gyeongju Beobju Ssal Makgeolli (경주법주 쌀막걸리). It's apparently won some sort of award and t'was nice, if nothing unremarkable. We placed a second order for our refill and was brought out the same amount. We had to wait the agonizing 10 minutes for it to grill again and by this time all of us found we were getting quite full. We did polish off the second platter of eels but none of us had space for anymore. Looking through most reviews, it seems the majority of visitors can't get beyond a third refill at most and this is probably because of the sheer amount of eels that's provided for each platter. We noticed only after our meal that you can order a kg of the eels separately for 35,000 won (which is not AYCE) and we realized we should have just gone with 2 or 3 kgs of eels which would have been so much cheaper, and for probably the same amount, than ordering AYCE for each person. So to put everything in a nutshell- quality, service, everything is excellent at Tongyeong Jangeo Muhan Refill but really, no matter how confident you are in putting away your food, go with ordering the eels ala carte and not in the AYCE. It'll be a far, far, better value for your money! 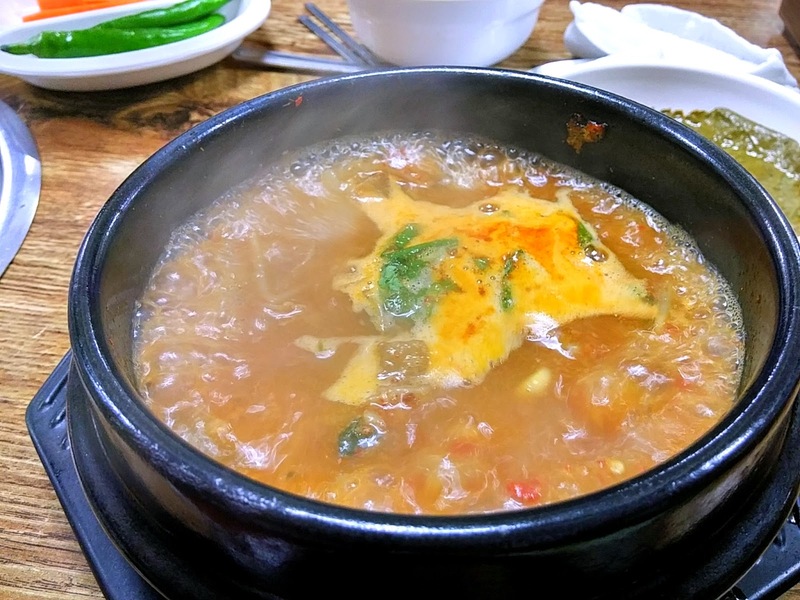 One of the most beloved dish of Busan, and also that of the surrounding southern Gyeongsan-do region, is a simple but homely soup dish called "dweji gukbap". Made from stewing various parts of a pig for long hours, it's very simple soup but it's become a sort of soul food for the locals. 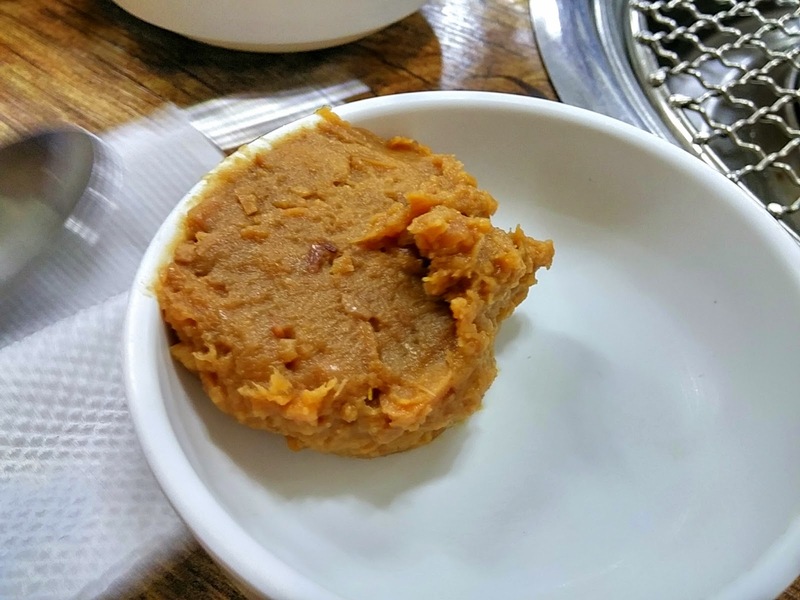 Interestingly enough, this dish traces its origins actually to parts of North Korea but when so many of the Northerners were displaced to Busan and the surrounding regions during and after the Korean War, it became a food that's synonymous with the area. I've had my share of dweji gukbap during my many visits to Busan and it's a dish that's taken me by pleasant surprise. Truth be told, the very first time I had it, I did so expecting I wouldn't like it as I expected it to have a strong smell. But I was surprised at how flavorful it was without any off-putting taste or scent and some of my most vivid memory of Busan is enjoying a big, hot bowl of it, piled with chives and just a teeny bit of shrimp jeotgal, in some of Busan's old markets, elbow to elbow with locals. To cope with the usual lines, they have some good sayings put up to placate your restless heart and soul, I suppose. In addition to having received recognition by both the district and city, it's also acknowledged as a low-sodium restaurant. 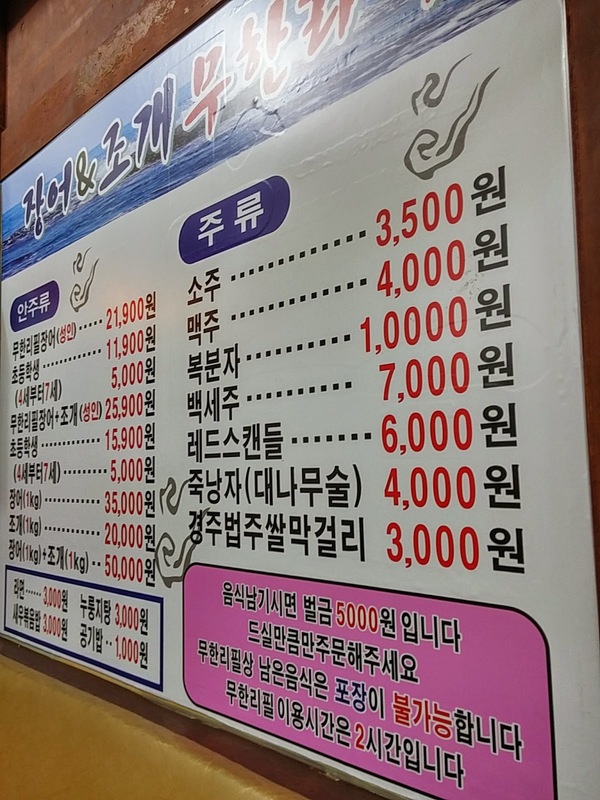 As for the menu, it's simple and inexpensive: dweju gukbap and naejang gukbap (the stomach) are both 6,000 won each, a boiled meat, aka as "sooyook" baekban is 7,500 won and a boiled meat platter only comes in small and large at 17,000 and 22,000 respectively. The line moved rather slowly, even for a busy restaurant, and as we got closer to the restaurant we were amazed at one of the contributing factors to the long lines: in between seated patrons inside the restaurant were gaps of seats. 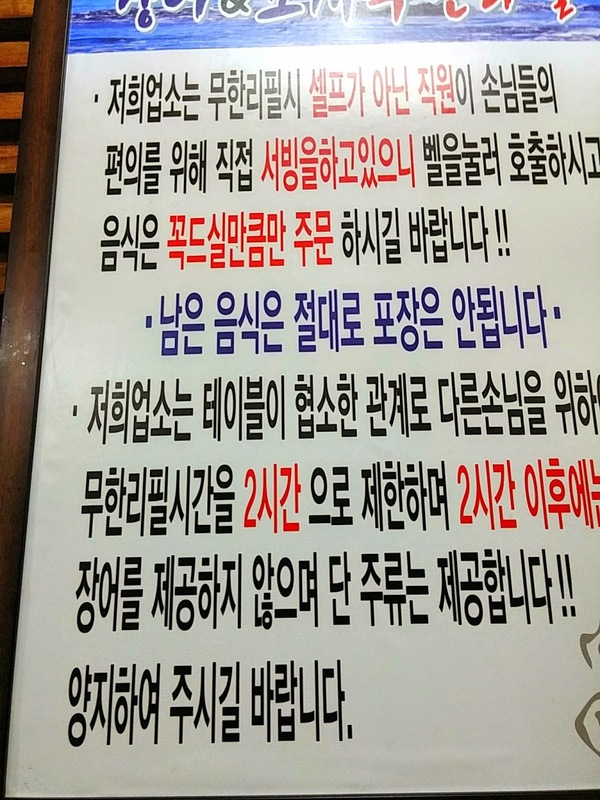 In Seoul, this is unheard of in popular restaurants as you'll literally be seated next to, and with, complete strangers so the restaurant can accommodate as many guests as possible. Even after being seated and waiting for our food, the waitress came and began chit chatting with us, even taking a moment to watch a video with us that a friend was showing on his cell phone- all while the wait line outside continued to move at a glacial pace. Such a difference from Seoul life! As for the food, the side dishes are just kimchi, picked onion, chives, and some sliced garlic and peppers. There's also some shrimp jeotgal- the traditional way to add flavor to your soup. Our bubbling soups took a few minutes to come out. On first look, the soup looked its part with its characteristic milky-white broth and bits of meat and chopped scallions swimming about. I added my rice, chives, and just a bit of shrimp jeotgal and gave it all a mix before taking my first spoonful and... disappointment. I mean, it was all right but the deeper color didn't match in taste unfortunately and seemed to lack the meaty and richer flavors of other gukbap joints. In fact, we all agreed that despite its credentials, Ssangdoongee Dweji Gukbap was the least impressive dweji gukbap we'd had. And yes, the naejangguk (intestine soup) really has intestine parts in it as confirmed by my friend's order haha. Perhaps our anticipation was too high but Ssangdoongee Dwejigukbap was certainly not worth the trek out to, nor the wait. 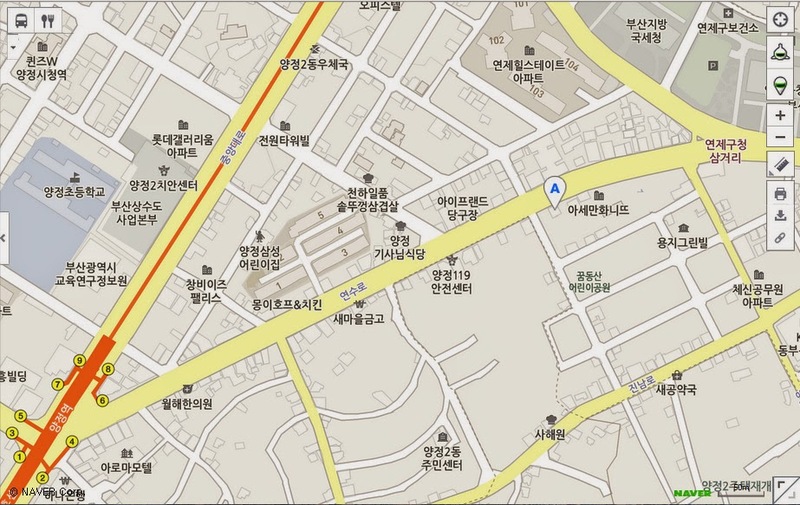 There are far, far better dwejigukbap restaurants around Busan. 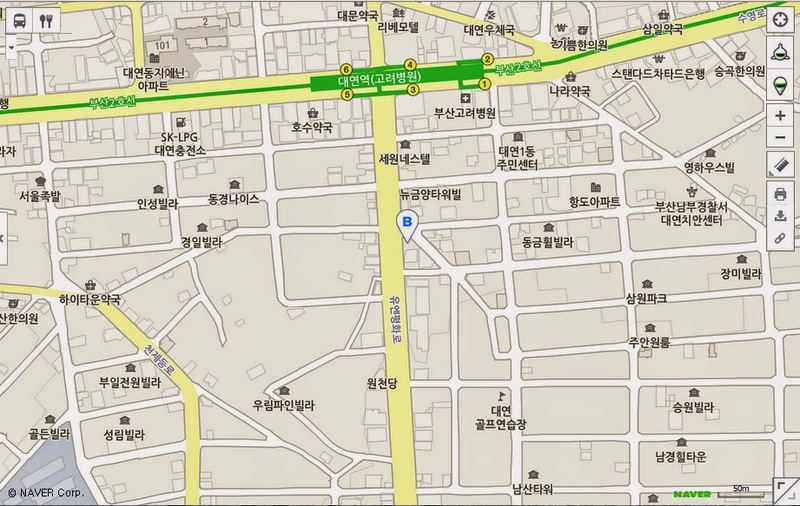 Disappointing gukbap aside, for our only full day in Busan we started off exploring the nearby town of Gamcheon (감천). There's a fascinating history behind this forme shanty-town-turned-current-day-popular-art-village. The town was formed from the ashes of war, political, social, religious unrest and was long disregarded until only recently when its picturesque setting- with its colors, lines, and backdrop against the sea- began attracting hordes of visitors. Reflective of its less affluent roots, the houses all look sort of tossed together in a juxtaposed way- kind of as if you've tossed together a bunch of Lego blocks. So on first glance it isn't so much a striking beauty but one you slowly discover beneath, and within, the intricate alleys and aisles. Exploring Gamcheon's maze of alleys is an experience in itself that seemingly transports you back to another time from before. It's certainly strange- for the hundreds of visitors everyday, such as myself, everything is a source of fascination, and something to gawk and take pictures at but for the residents here, it's just another day for them. Still, I think every so often it's good to have a reminder that there are other kinds of life beyond the hustling, bustling, cacophony of city life. And the assortment of wall paintings all around the village, similar to Dongpirang in Tongyeong, adds a pleasant colorful touch as well. And when you're in Busan, you can't forget to get some seed hoddeok (씨앗호떡) and luckily I got my fix in Gamcheon, hot off the fryer. After Gamcheon, we stopped by Dalmaji Road which is a nice scenic area by the ocean and then we decided to check out the new, hip and happening the Bay 101. This relatively new 15,000 sq. meter marina park is located next to Haeundae and the surrounding area has been the site of major redevelopments with many, shiny new buildings going up. The centerpiece anchoring this marina harbor is The Bay 101 building itself which is essentially a nice hangout area that holds a couple of restaurants and chilling spots. We actually had no intention of staying around but the view was so nice and the bustling terrace- belonging to a fish and chips joint called "Fingers and Chat"- was beckoning so we made an impromptu decision to go and chill over beer and some fish and chips. The interior of the shop is quite nice and there's even a real brick oven you can watch a baker making bread. However nice everything was, it certainly got dull having to wait for patio seating for some 45 minutes. We actually lucked out in some ways as we were first to put our names on the list for patio seats. There were plenty of indoor seats but it seems everyone after us decided they wanted to sit out in the patio too. Out on the patio, it was almost a madhouse. Servers were scrambling nonstop and we almost felt bad having to call the overworked staff over multiple times as they would forget to bring out things, not take our order, etc. As for the menu, it's quite extensive and if I thought the food was actually worth really writing about I would list some of the items out for you but in reality it really was not. The fish in the fish and chips had all the wrong inconsistency in its batter with an almost shell-like, and extremely thick batter. They brought out ketchup, tartar sauce, and a sauce that resembled thousand island dressing but no malt vinegar! No mushy peas! At least the chips were ok- thick and hot from the fryer. I guess looking for authentic fish and chips in Busan is probably a stretch but golly, I wish some more effort was placed into their signature menu item. They randomly had a humus set on their menu too which we ordered with our fish and chips. What was really random was they brought out the pita bread, which we incorrectly had guessed was free pita they gave out to every table, but they never brought out the hummus plate! We only found out at the end of our meal of the error that had happened. Like I said, the servers were entirely short-staffed but again... the food and service is really a no-go here. That being said, the view and ambiance from the patio was absolutely stellar. With the warm ocean breeze still gently blowin in and the many lights coming on as the sun set, it was such a pleasant view to take in and it almost reminded me of spots like Singapore. That being said, I would perhaps recommend Fingers and Chat for only a beer or coffee but the food and service are really crap-tacular. 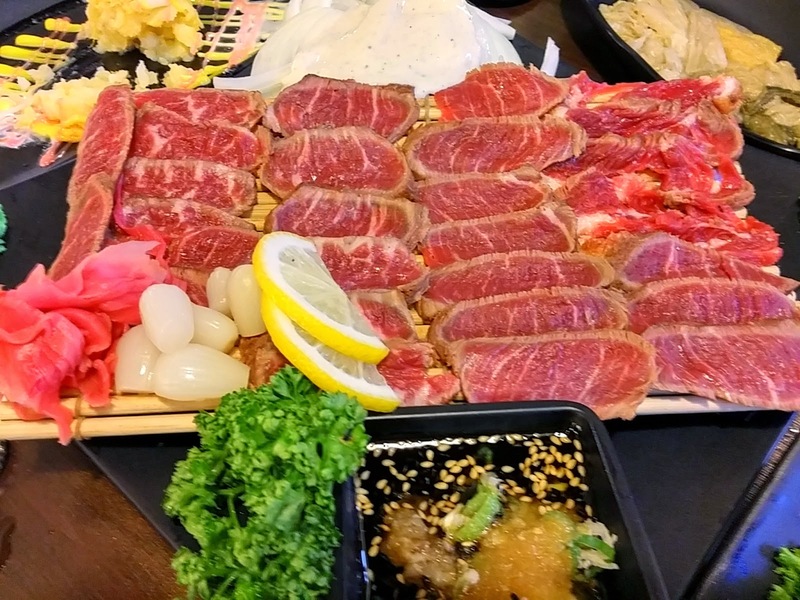 There are other restaurants found within, such as the famed Daedo Shikang (specializing in barbecue beef), but I can't vouch for them as I didn't try them out. 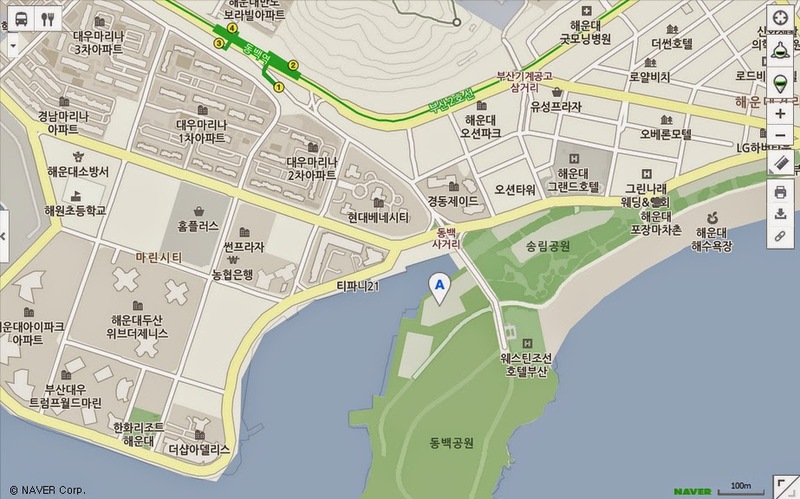 Still, it's worth a stroll at The Bay 101 if you're in the vicinity (such as at Haeundae next door). Moving on from our uninspired "fish and chips" we were quite eager to get our hwe (sashimi) on and moved on to Gwanganli by this time. 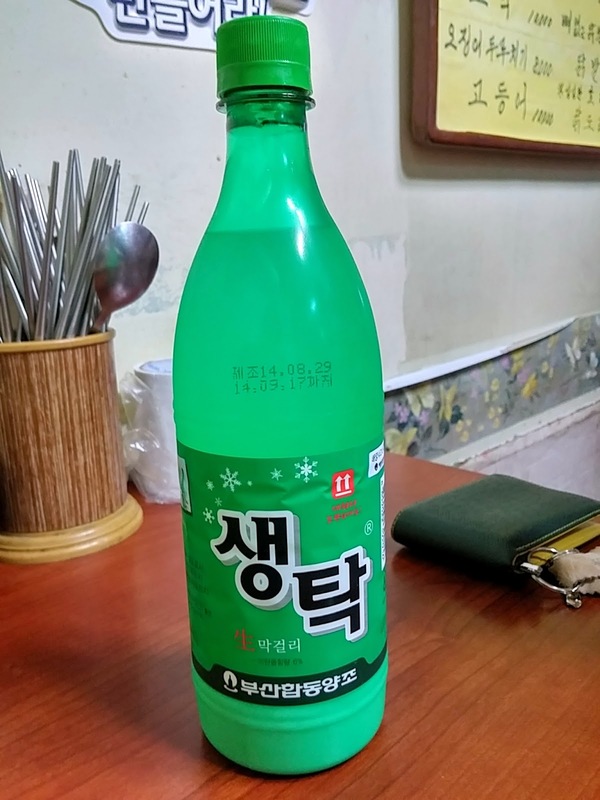 Originally, we were supposed to go to a hwe place that our Busan-native friend had recommended but because of some issues we ended up last minute going to another place called Chilsung Hwetjib right on the Gwanganli main road... big mistake. When we first entered the hwetjib we were pretty relieved as the restaurant was pretty full. But as I sat down, I noticed right away I couldn't hear any gruff Gyeongsangdo dialect being spoken (aside from the servers). Scanning the menu our eyebrows immediately raised at the prices- an astounding 30,000 for a small order of wooreok (우럭 or rockfish) and 40,000 for a large. What was even more baffling, an order of maeuntang- which is long known as an after service in Korean hwetjibs- was 5,000 won for a pot. And then... out came the hwe as our mouths dropped. We all stared at the tiny platter of hwe brought out before us initially in disbelief- really, this was 40,000 worth of hwe? There must have been about 14 slivers of hwe for each of the four rows... which averages out to what, like 712 won for each sliver? And it wasn't even that fresh! What a travesty. The maeuntang was your average run of the mill "tang" (or stew) but tasted less like fish and more like MSG. Nowhere near enough fish in there to constitute a 5,000 won price tag. Probably the most disappointing hwe experience I've had in Korea. It's odd as the place is pretty well known. It seems their price, quality, and taste were actually decent long ago but after it grew in popularity, Chilsung decided to skimp out on quality and quantity while jacking up prices. Huge bummer, so I'm gonna skip any info about the place. If you come across Chilsung Hwetjib, make sure you stray far, far from it. Sigh. Though we had two sub-part dining experiences in a row, it was still nice to walk around the Gwanganli shore and street and take in the view, the sights, the people, and all. I've been to Gwanganli probably about 5 or 6 times now but it's still my favorite spot in Busan for some reason I can't quite put a finger on. I think I'll forever equate Busan with Gwanganli in my mind. A few hours later we were now just strolling about Seomyeon on the Saturday night and just checking out how the cool kids in Busan kicked it. Girls were cute, guys were dressed stylishly, and the atmosphere was quite vibrant and fun. At this point we were actually initially trying to find a naengchae jokbal (chilled tangy spicy pork hocks) which is another popular dish in Busan but all the really famous spots weren't at all in Seomyeon. 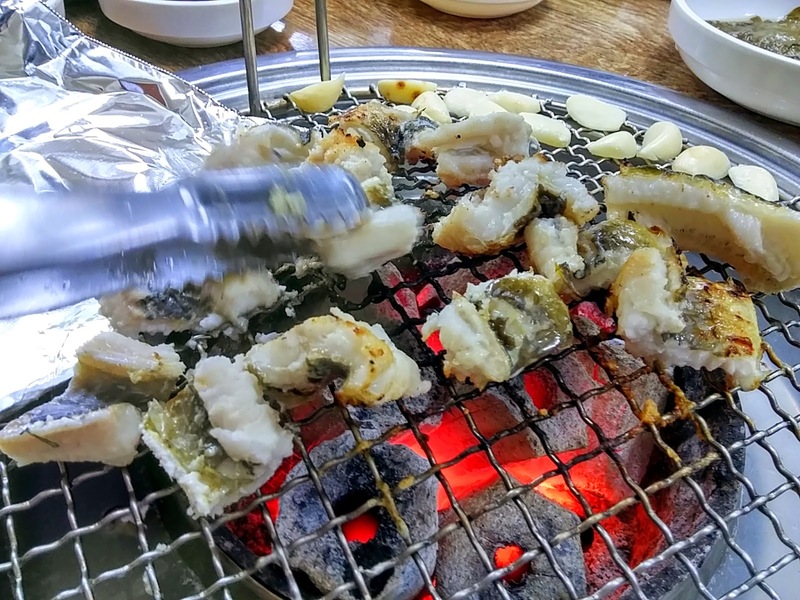 After failing to find a decent place in the area, we randomly entered a chill, open-air seafood izakaya that faced one of the main streets of Seomyeon to people watch. Anyways, the food was all right at the izakay We just had the steamed octopus and beef tataki over Busan's "Good Day" soju (좋은데이). Quality in the octopus was much better than the beef but it was still plentiful and prices were rather decent like the other places in the Seomyeon area. Can't recall the place but if you're looking for a chill place to people watch the locals on weekends (hope that didn't give off stalker vibes) then check out Seomyeon where there's an endless list of places to eat, drink, and chill. By the time we got back to our hotel it was already around 3 AM and two of our buddies immediately went to sleep. But I was still on the prowl for a few more bites. 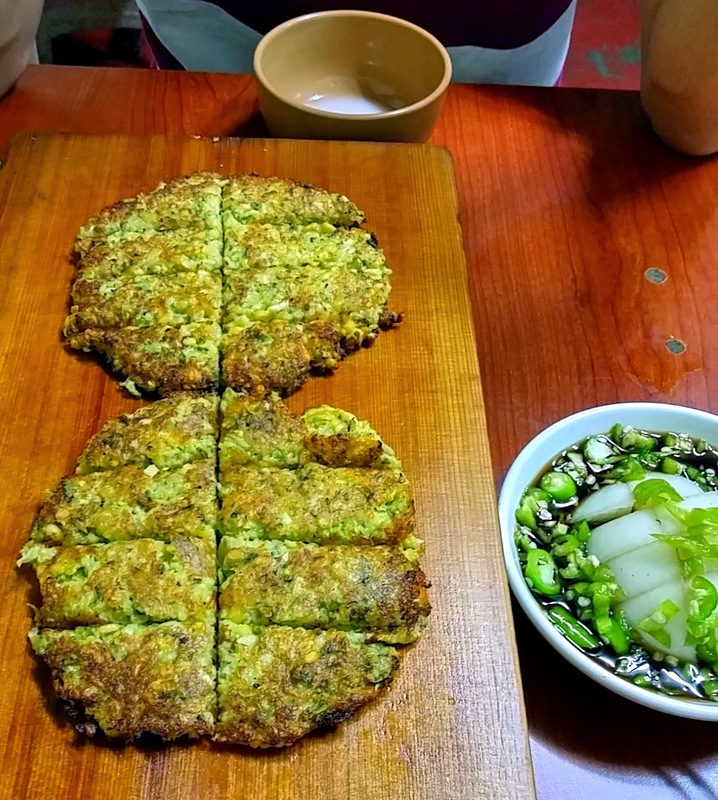 I recalled having passed by a humble nokdoo jijimi (mung bean pancake which is also known as bindaeddeok) place near our hotel which seemed to open until quite late. I convinced my bestest, awesomest, most gracious buddy Chris who, despite his exhausted state, entertained me to get my jijimi fix. As luck would have it, the jijimi place was still open- even at that insane hour- and we quickly put in an order for a jijimi which must have costed all of 5,000 won for two enormous cakes. 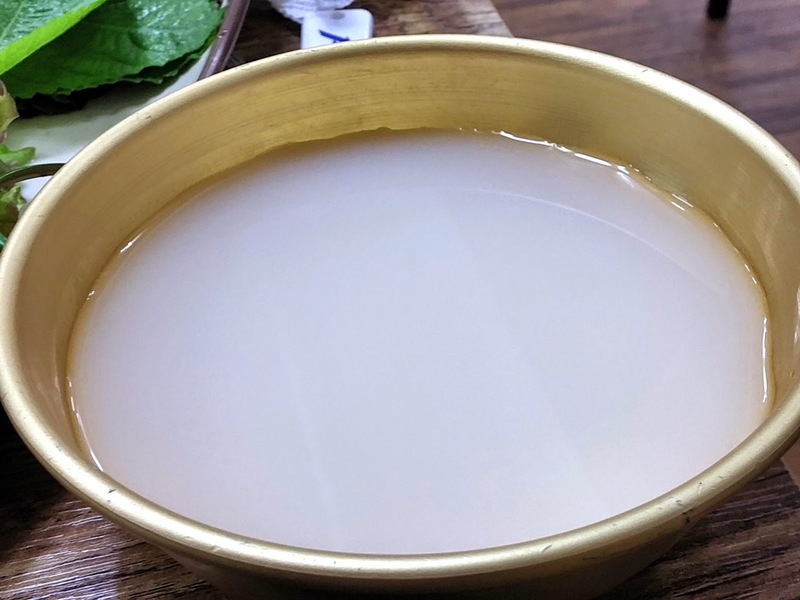 The elderly lady running the spot immediately got to work on the griddle spooning out two big ol' pancakes while Chris and I shared a bottle of Busan's saengtak makgeolli (생탁막걸리). It's like a sharper version of the common Seoul makgeollis and I really enjoyed it. It paired wonderfully with the piping hot jijimi which was a lot coarser in consistency than the ones I was used to in Seoul. With a bit more texture for you to chew on in each bite, it was perfect with the tart and spicy soy sauce dipping which came with plenty of chopped peppers and all one half of a chopped onion. I woke quite tired the next morning but we were in a rush to try and make it back to Seoul before running into the Sunday evening traffic back into the capital. But one of our really good friend in Seoul was a born, and mostly raised, Busan native and she insisted we stop by her mother's bokguk (복국 or puffer fish) soup restaurant. The puffer fish is pretty well known in most parts for being a delicacy in Asia and also what could lead to death if its poisonous parts aren't properly removed. In most cases now though, the puffer fish are farmed and bred without their poisonous glands which makes for easy eating. Our friend's family's restaurant, called Wondang Bokgukjib, is a very humble and unassuming eatery in a quieter neighborhood. Our friend's mom greeted us with the love and attention of a mother and immediately began hoisting out an array of side dishes that bordered on the edge of being a feast. I initially thought the offerings was extra large just for us because she knew we were her daughter's friends but I noticed that other tables had the same amount of side dishes. 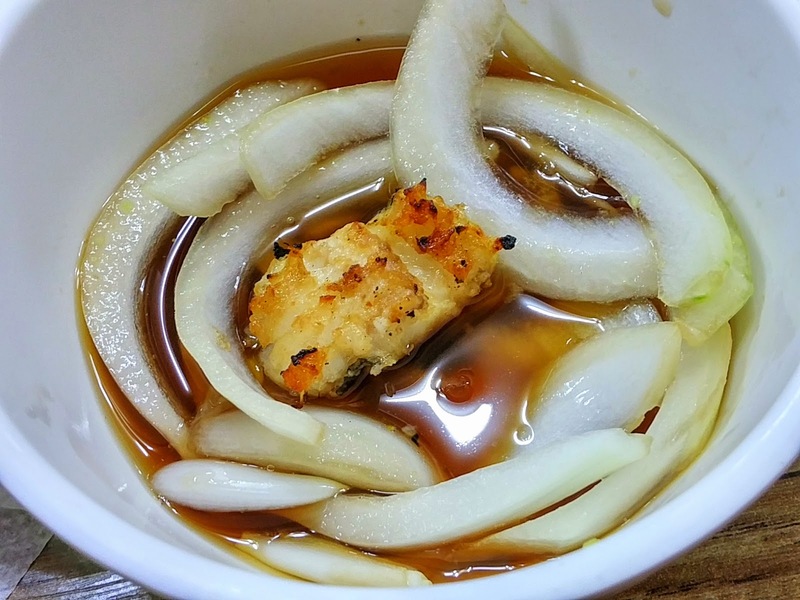 But for us, she did bring out a range of special puffer fish dishes including deep fried puffer fish skin (so good with the wasabi soy sauce dip) and, I don't have a picture unfortunately, a puffer fish katsu which, I swear, looked and tasted more like donkatsu than fish katsu. Really, really tasty stuff. All in all, it was a real whirlwind of a trip and even after so many visits to Busan, I still feel like I've only just scratched its surface. Food-wise, there were a few more misses than hits than I would have liked but I suppose I can take a hit for the team if it's to help prevent other Busan visitors to fall into a few pit traps through this post :P I should point out though that there are far, far better places in Busan to eat that I've encountered on many previous trips so don't let my slightly mediocre dining experiences from this most recent outing deter you. Do a lot of research beforehand and, if you know anyone who's from Busan or knows it well, don't hesitate to ask where to go! Dining experience aside, I think this recent trip has really shown how Busan is on the cusp of burgeoning past the shadows of Seoul and taking on its own unique traits. 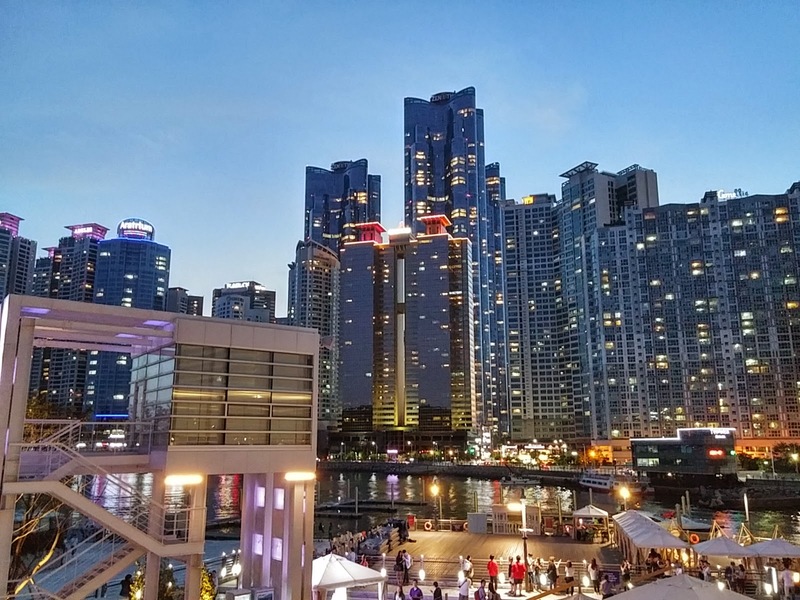 There's a bright future ahead for Busan and I just hope it continues to evolve while accentuating its merits and without becoming another Seoul. But on a side note- damn, Busan, please work on your traffic issues! ㅡㅡ Until then, see ya soon, Busan! PS- I don't usually harp on bad restaurants but, again, PLEASE don't go to Chilsung Hwetjib! Great write up! Loads of good info. What was your favourite food in korea? 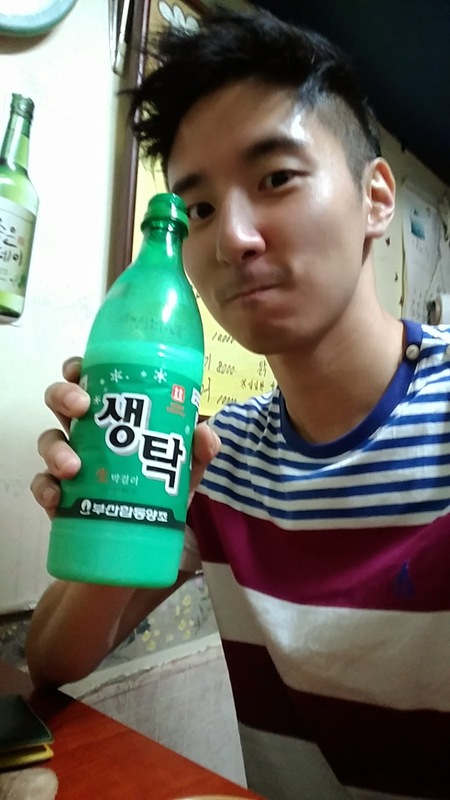 Favorite food in Korea? That's such a huge scope! haha. 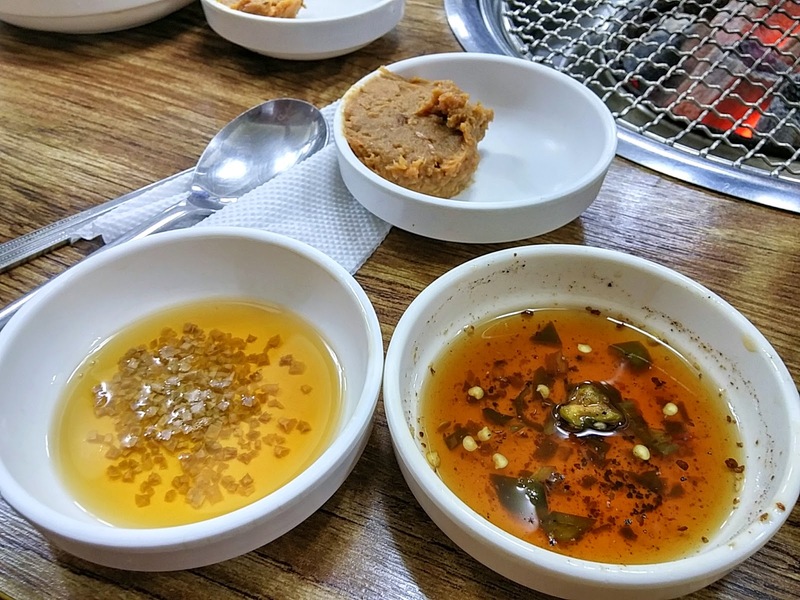 The homemade tofu place in Gongju, the buckwheat noodle restaurant in Sokcho, the fresh seafood in Tongyeong are just a few that comes to mind off the top of my mind but I'm not sure I can limit it to just one! I'm realllllly behind in introducing these places with my travel posts but I'll get to them (eventually) with some info on some of these spots. So in korea, Pufferfish are not highly regulated like in Japan, where one needs permit to process and sell. Hi Johan. I wouldn't remember the name of the place I got the nokdoo jijimi because 1. It was like 3 AM and I was already pretty buzzed 2. It was just a hole-in-the-wall that we just stumbled upon in an alley near our hotel after wanting another drink. 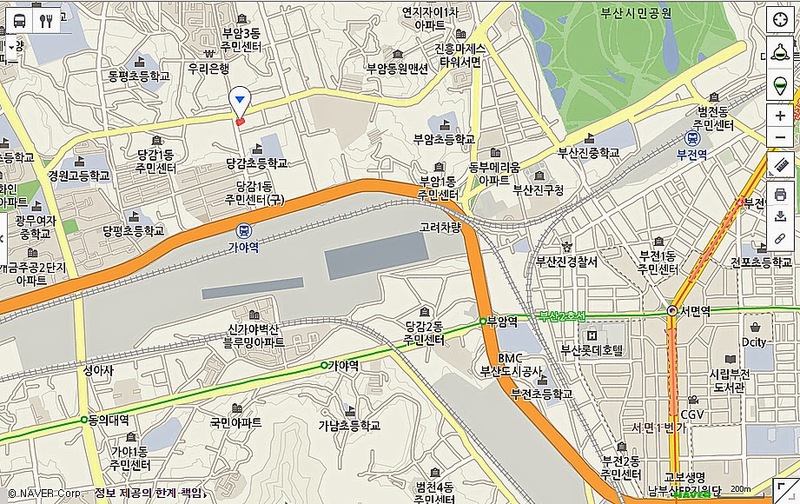 However, nokdoo jijimi is something you shouldn't have too difficulty finding in Busan. Many North Koreans who came down to Busan during the Korean War brought this dish down with them so it's not too uncommon. If it helps the Korean spelling is 녹두 지짐이. I don't remember the price of the bokguk place but it wasn't crazy expensive and the place is just an old restaurant that's just really good.